These days, it seems you can’t go very long without coming upon a news update from the refugee crisis in the Middle East, or the Syrian Civil War that created it. Since the beginning, The Syrian War has evolved from minor protests into one of the major news stories of this decade. Mahmoud, a refugee, enters a butcher shop in Lebanon to purchase meat with the last of his money. What happened next he never would have imagined! 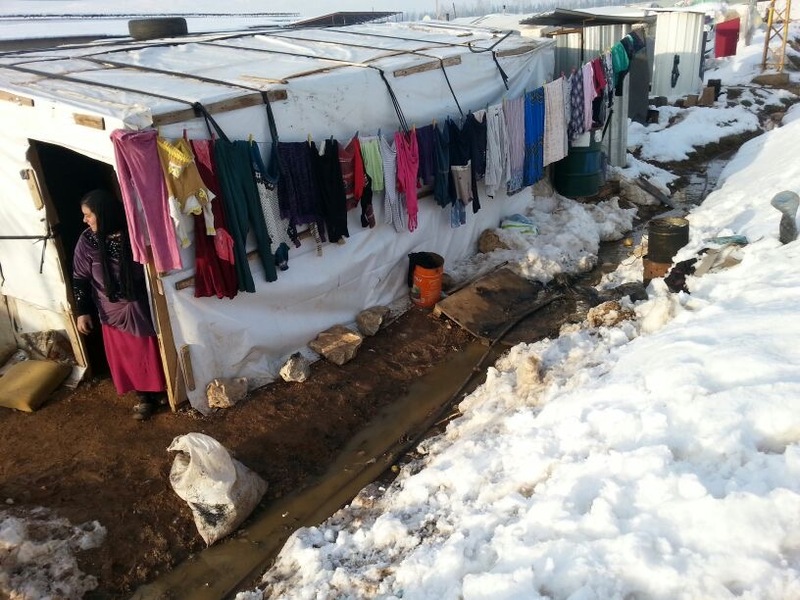 Mahmoud lives in the Bekaa Valley, an area now covered with thousands of tents to house impoverished refugees. They have come over from Syria to escape the war, and most have struggled to find adequate food and shelter. "What can I get you?" the butcher asked Mahmoud. He explained to the butcher that he only had 2,000 Lebanese Pounds to his name (a little more than 1 Dollar). Mahmoud motioned to the scraps of the cow, something you would only use to make animal feed. The butcher could tell that Mahmoud was a refugee and he asked him: "Why would you use the last of your money to buy food for an animal?" Mahmoud couldn't hold it together any longer. He began to weep as he explained that the food was not for an animal, but for his wife and seven children. His family had lost everything in Syria. They hadn't had a filling meal in months and Mahmoud was desperate to provide anything to fill their stomachs. The butcher was shocked. He paused for a moment and remembered the day that a Call of Hope Frontline Worker gave so freely to him. He remembered how he received food and shelter in a time of need. Most importantly he remembered how Frontline Workers had shared Christ with him, and the sacrifice that Jesus made on the cross for him. The butcher himself was of very little means, but he couldn't imagine sending Mahmoud away with the animal feed. Without another second of hesitation, the butcher reached out of his own pocket to buy Muhammed several pounds of the best chicken he had! As a result of this act of generosity, Mahmoud was not only able to feed his family, but now they are all regularly attending services at the church planted by Call of Hope. Today they are hungry, not for food, but for God's word. They eagerly ask questions about Jesus and they want to know more about the God in heaven who loves them! Please pray for Mahmoud's family as they grow in their faith in Christ. 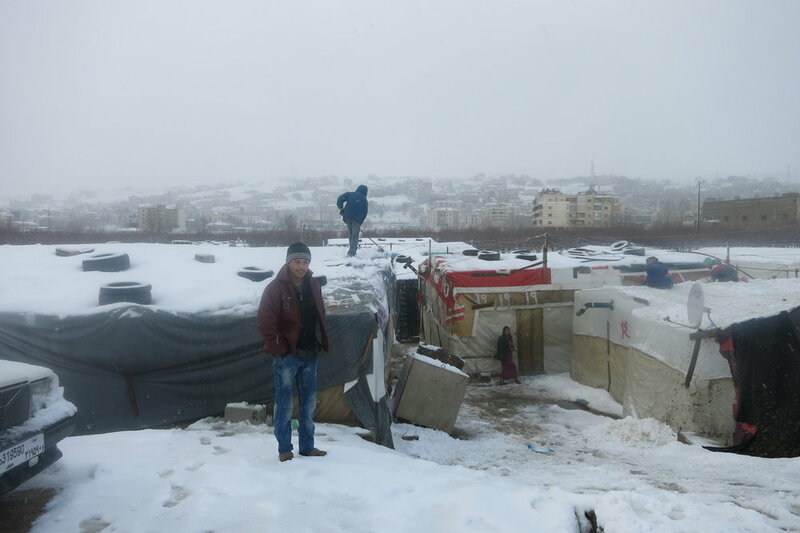 Pray that God would protect and care for refugee families in Lebanon as they face brutal winters without adequate shelter. Pray for financial provision so that our frontline workers in Lebanon can provide food, clothing, and warmth to more refugee families this winter! P.S. You can be the answer to our prayers. If you want to help Mahmoud's family and other refugees, you can give a gift below! Abed, a young Muslim man, stands in the center of a refugee camp in Jordan. As he looks around at the endless rows of makeshift tents that he and his neighbors now call home, he tries to recall how he got to this moment. Abed grew up as a Sunni Muslim. Like many others, he was taught he was doing his duty as a Muslim when he was fighting in the Syrian war. As the war raged on, he could never quite understand how two groups of Muslims (Sunni versus Shia) could be killing each other in the name of Allah. For the first time, he began to question what he had learned his whole life. As the war became more intense, Abed witnessed repeated attacks on women and children; and he knew he couldn’t participate in these terrible acts of violence. He laid down his weapons and fled to Jordan in search of answers. Since everything he had was destroyed in the war, Abed took shelter in a nearby mosque. When other Muslims realized that he was having doubts about Islam, he was thrown out. Alone and afraid, Abed's only option was to scavenge through the garbage to avoid starvation. One day, he heard that food and shelter were being offered at the Call of Hope Center in Jordan. Even though Abed originally came for physical help, he received that and something far more valuable. He was astonished to hear about a God who loved and cared for his people. Intrigued by this concept, he asked to talk with a Frontline Worker. Abed explained, “In Syria, they taught us how to fight, but you Christians taught me that Jesus has never carried a sword or did violence to anyone. He did the opposite, Jesus healed the sick and taught to love your enemies.” With tears in his eyes, he continued, “All my life I have had anxiety and questions, but now after hearing about Jesus, I am overwhelmed with a feeling of peace”. After talking and receiving counseling from the Bible, Abed came to embrace Jesus as his Savior and Lord. Now, as he looks out into the refugee camps, he stands there on a mission to tell his refugee neighbors about the hope that he has found in Christ! Frontline Workers earnestly ask for your prayers. Sign up below to become a prayer partner today! How did you hear about Call of Hope?